Good news I have a new studio space. I am no longer holding classes at the hotel. I now have a dedicated classroom that adjoins my studio. Classes are now held there. The address is. To get signed up for any of these classes contact RayCover . his address is 16235 State Hwy U, Mineral Point, MO 63660. His phone number is 314 808 2508. To reserve a room at the super 8 please see the hotel info below. There is something else new for the 2018 engraving classes. Ray is now set up to take credit card payments for both deposits and class tuition. To sign up for a class suing a credit card call Ray at 314 808 2508. 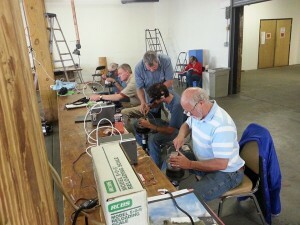 March 10-14, Five day Basic Engraving Class Ray has reworked and improved the curriculum of this basic classes. This basic class will include all the skills to get a person started in the right direction with sharpening, designing and drawing basic scroll patterns, and cutting basic scroll patterns (including Western Gun Scroll and Bold American Scroll). The cost for this class is $700. A $200 deposit is required to reserve a spot in the class with the remaining $500 due at the start of class. Class is limited to 8 students and a minimum of 4 students is required for the class to make. There are no prerequisite skills required for this class. 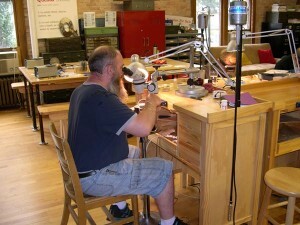 June 11-15, Five day Intermediate Engraving class. This class picks up where the basic class leaves off. The cost of this class is $700. A $200 deposit is required to reserve a spot in the class. Class size is limited to 8 students with a minimum of 4 required for the class to make. There are prerequisite skills required for this class. You must have a fair tool control to succeed in this class. You must be able to cut a basic scroll and control the depth and width of line you cut. If you have questions about whether or not you are ready for this class email Ray (cover@sbcglobal.net) pics of your recent work and he will evaluate them and let you know. Remember Ray also does Private instruction. He has both a daily rate and a weekly rate. Ray’s daily rate for private one on one instruction is $500 per day. His weekly rate is $2,000 for a five day work week. Ray will help you with whatever skills you wish to work on during private instruction sessions. To schedule a private instruction session contact Ray by email at cover@sbcglobal.net or by phone 314 808 2508. Ray is also offering “Semi Private” instruction. How does this work? This is a way for two friends to get one one one instruction from Ray while splitting the cost. Semi Private instruction is tow people sharing a private instruction session. The cost for a five day block of semi private instruction is $2,500. 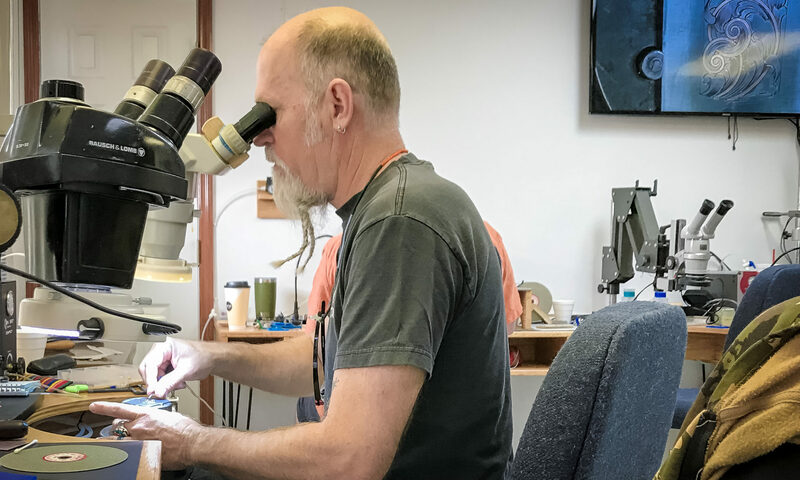 If you have a friend and the two of you want to advance your skills or both of you want to get a good solid start at engraving, the two of you can schedule a session with Ray and split the cost making it $1,250 each for the five day block of time. Ray has done this a few times in the past and it has worked out quite well so he is offering it as a regular offering at the school. For reservations call 573-438-8888 Please note: to get the $59.99 rate you must tell them when you register that you are coming for Ray Cover’s engraving class and you are to get the $59.99 rate. Without telling them that they will charge you the regular Rate.